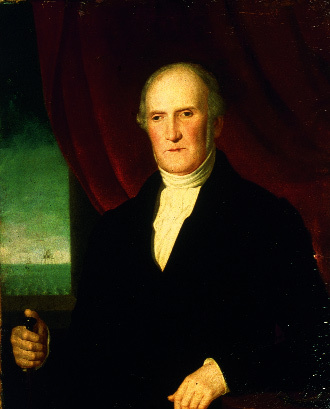 Alexander Mitchell’s (13th April 1780 – 25th June 1868) story is inspirational – despite his complete blindness he used his incredible engineering talent to help seafarers see in the dark. Mitchell was born in Dublin but grew up in Belfast where he attended the prestigious Belfast Academy. His eyesight began to fail at a young age and by 22 he was completely blind. But he didn’t let this sizeable challenge overcome him and despite it he became one of Ireland’s greatest engineers. His patented several significant inventions, greatly advancing maritime technology with his durable designs with several still in use today. His most famous invention is the screw-pile lighthouse. His design enabled lighthouses to be built in the difficult soil conditions of shifting sands in deep waters. 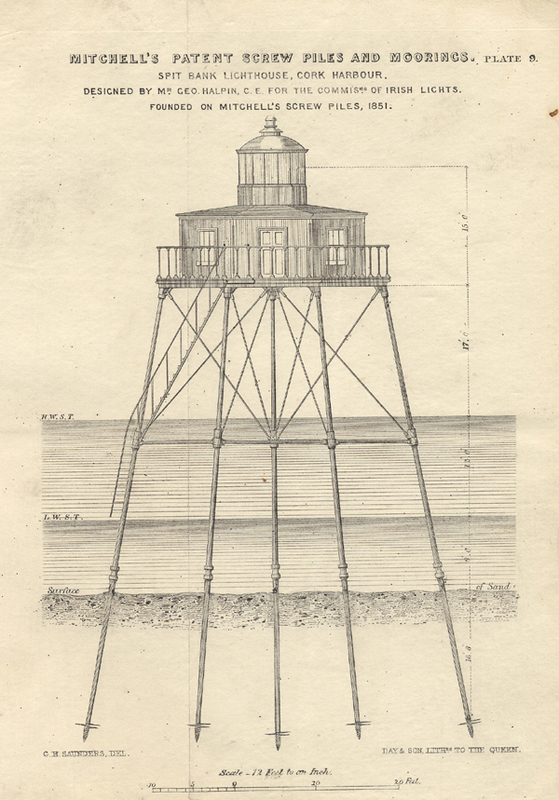 His design made the lighthouses easy to construct, inexpensive and quick to build. It worked by screwing a central pile surrounded by eight perimeter piles in a hexagonal or octagonal shape into the sea bed. Mitchell himself was heavily involved with the building process, he supervised all construction and was even seen climbing ladders and scaffolding. The first one was built at the Maplin Sand Lighthouse at the mouth of the Thames. His technology was used all around the country in Belfast, Wexford, Cork and Dundalk. Not all lighthouses were successful though. He tried to build one the perilous Kish Bank but a gale caused the piles to fail and the project was abandoned. Only three of Mitchell’s iconic lighthouses remain in Ireland at Spit Bank Cobh, Dundalk Bay and Moville, Inishowen Co. Donegal. Often described as giant spiders at sea these few remaining lighthouses are still operational and acting as a light in the dark for mariners at sea.